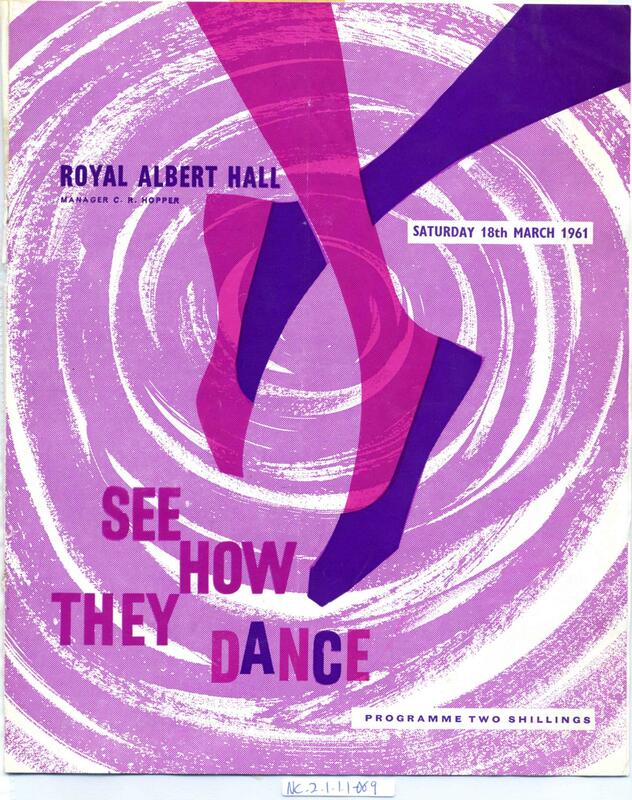 Full Description: A large programme for the "See How They Dance" production at the Royal Albert Hall on Saturday 18th March 1962. The Society for International Society for Folk Dancing promoted this event. 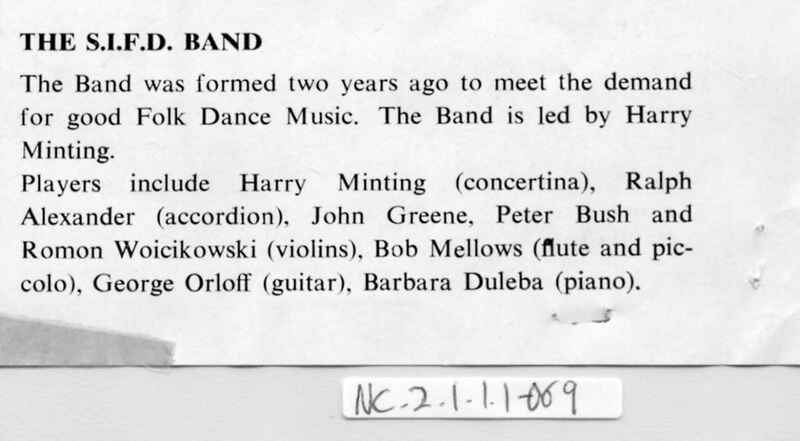 Harry was part the SIFD Band.